If you smell gas then you should always be safe and not sorry. 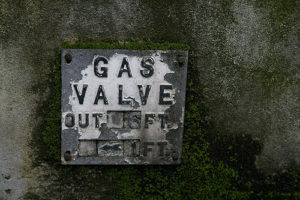 If you can’t easily find the source of the gas then get help. Our licensed plumbers are capable of detecting the source of the gas leak, repairing the leak, and installing new gas lines if need be. You can call us 24/7 to get help if you feel you need to hire a gas leak detection specialist. Of course the obvious was is if you smell gas, but there are other ways to determine if you have a problem. Smell – Do you smell rotten eggs, if you do and it’s a strong smell then there is a good chance you have a gas leak. Sound – Do you hear like a whistle sound, or a hissing sound? If you hear this near an appliance or gas line call us ASAP. Sight – Are there a lot of flies around your house. Dying or dead grass area in your yard? Soil that appears blackish / green in color. Water or mud bubbling outside of you home? With modern technology, highly trained technicians, and affordable pricing, Streamline can help you find and repair any gas leaks (large or small) and get your gas turned back on and your household back to normal. If need be, Streamline Plumbing can repair multiple gas lines or replace gas valves at your property immediately to ensure you are safe. Obviously a gas leak is not a problem you want to push off and fix another day. Many appliances in your house typically run on gas – furnace, stove, water heater, oven, etc, and even the smallest gas leak can be a major issue. Obviously if you live in California then you are used to earthquakes and the dangers that exist. Orange County and LA definitely have had our share of large and small quakes over the last 50 years. If a gas line does break during an earthquake, then being stuck inside your home could end being very dangerous – or even deadly. Contact Streamline Plumbing today with questions about getting an earthquake shutoff valve installed at your house. This option gives the homeowner peace of mind knowing that if an earthquake above a 5.4 hits, that your gas system will automatically be shut off (thanks to valve). 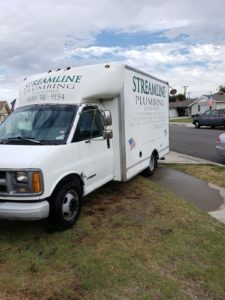 With over 25 years experience helping homeowners here in Southern California, Streamline Plumbing has helped countless customers deal with a gas leak. We take pride in the great reputation we have built and can help. Contact us today for a Free Estimate and upfront pricing on your gas leak repair job. Our plumbing technicians are are licensed and experienced and offer a professional attitude that shines thru.